Camped on a tropic riverside,One day he missed his loving bride.She had, the guide informed him later,Been eaten by an alligator.Professor Twist could not but smile. "You mean," he said, "a crocodile." The moral is that it is probably better not to sin at all, but ifsome kind of sin you must be pursuing,Well, remember to do it by doing rather than by not doing.  "The Anatomy of Happiness"
 "A Clean Conscience Never Relaxes"
Listen, buds, it's March twenty first;Don't you know enough to burst?Come on, birds, unlock your throats!Come on, gardeners, shed your coats! God in his wisdom made the flyAnd then forgot to tell us why. The further through life I driftThe more obvious it becomes that I am lacking in thrift.  "A Penny Saved Is Impossible"
Perhaps indeed the possession of wealth is constantly distressing,But I should be quite willing to assume every curse of wealth if I could at the same time assume every blessing.The only incurable troubles of the rich are the troubles that money can't cure,Which is a kind of trouble that is even more troublesome if you are poor.Certainly there are lots of things in life that money won't buy, but it's very funny —Have you ever tried to buy them without money? Whales have calves,Cats have kittensBears have Cubs,Bats have bittens,Swans have cygnets,Seals have puppies,But guppies just have little guppies. Only the gamefish swims upstream, But the sensible fish swims down.  Ogden Nash, When You Say That, Smile. The sky is now indelible ink, The branches reft asunder; But you and I we do not shrink; We love the lovely thunder. 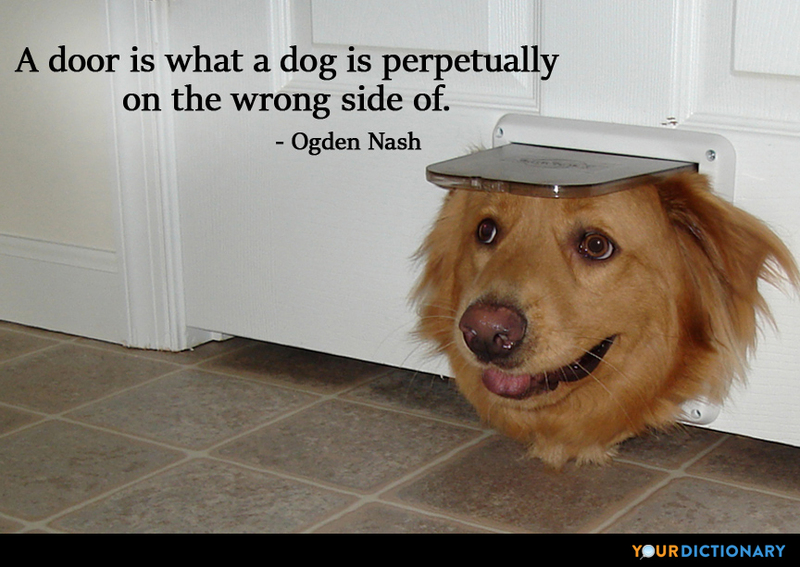  Ogden Nash, A Watched Example Never Boils.